No, I haven't forgotten or abandoned my NBA Live 06 Bulls Dynasty, which I will be picking up again...at some point. However, I thought I'd try something new and get a MyCAREER story started, since I'm a few games into one at the moment. Hope you guys enjoy it! It's been a crazy few months to say the least. Some days it's hard to believe my wildest dream has come true but here I am, playing in the NBA. We're a few games into the season and while it's been a difficult adjustment at times, I'm loving every minute of it. The fans have been fantastic in welcoming me to the city and my teammates have been great too, just a fantastic bunch of guys on our roster. Coach Karl has been very supportive so far, giving me some great opportunities and helping me to make the transition to the big time. We're off to a hot start, 6-1, and even though it's early I'm thinking we could have a great run this year. We made a big move when we brought in Iggy and he's been great for us. It's such a luxury to have a teammate like that; catch him in stride or toss it up near the hoop, you just know he's going to finish. Ty's been outstanding too, leading us in scoring so far this season. I've seen a fair bit of time alongside him in the backcourt and I feel we're really starting to gel. I've had some people asking me what my favourite moment in the NBA is so far. Man, too hard to pick! Stepping onto an NBA court for the first time was such an amazing experience, I'll never forget my first game or my first basket. The other night when I knocked down those four threes against the Jazz? That felt pretty good! 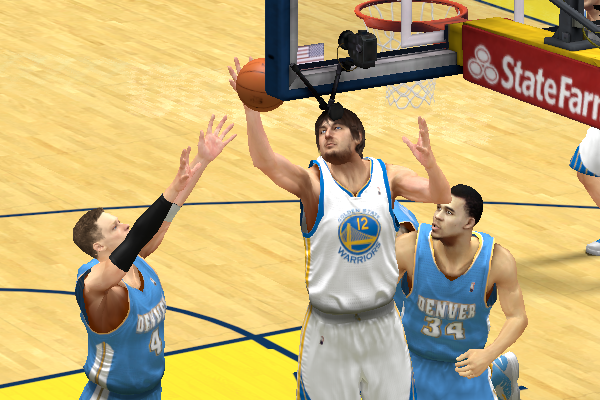 Meeting my fellow Aussie, Andrew Bogut, and scoring 15 points in our win over the Warriors? That was cool too. So far, everything has been a blast. I can tell you what the most challenging moment was though, without a doubt: guarding LeBron James. Coach Karl put me out there at power forward against the Heat the other night to counter their small ball lineup and I found myself trying to guard the reigning MVP. Now, I played some power forward and centre growing up, and I loved it - that's why you'll see me getting in there sometimes, getting after those boards and posting up a bit - but that was a long time ago and I was giving up a fair bit of size to LeBron. Definitely the toughest cover of my career, at any level. I gave it my all but a player like that, he's going to get the best of everyone at some point. Yes it's true, I've signed on with the Jordan Brand. You may have seen Darren Rovell's Tweet about it and he's right; I was a HUGE Michael Jordan fan growing up. If you grew up in Australia in the 90s, chances are you loved MJ and the Bulls. It's an honour to be a part of the Jordan family, I'm flattered that they brought me into the fold. What do you think of the Jordan XVs I've been wearing the past couple of games? I might change it up a little as the season goes along. Tomorrow we're off to Phoenix to face the Suns, be sure to catch the game! Thanks everyone for all the Tweets, the signs at the games and all the support you've shown for me so far. 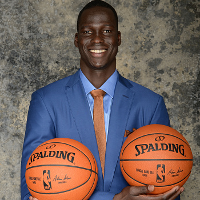 I'm proud to be a Nugget and I'm looking forward to having a great first season here in Denver. Stay tuned! Finally, Andrew with a 2K story, good luck! Great start, dude. Wish my player's shooting stats were that efficient. Nice. Wasn't expecting this from you. Are you 6'4" in real life? Cheers, thanks for checking in! Martti. wrote: Finally, Andrew with a 2K story, good luck! Thanks man. It was bound to happen sooner or later. Lamrock wrote: Great start, dude. Wish my player's shooting stats were that efficient. Thanks! I was shooting over 60% from the field and three point range, though I went 5/14 against the Warriors which evened things out a bit. I was also playing five minute quarters for the first few games, which is why my minutes are a bit low. Since I went to 12 minute quarters, I'm getting over 25 mpg. Cavs4872 wrote: Nice. Wasn't expecting this from you. Are you 6'4" in real life? Thanks for checking it out! I'm actually 6'3.5" without shoes, so I thought I'd round up. Wow, nice shooting percentage, what player type (3pt, all around, scoring, etc) did you choose? Andrew wrote: I'm actually 6'3.5" without shoes, so I thought I'd round up. We've got some tall NLSCers here. I know Jao is tall, not exactly how tall though. I think Martti. said he's 6'4" or 6'6". Can someone confirm these heights? I think at my physical a few days ago I measured at 6'2", but my doctor said I'm probably not going to grow anymore. Doesn't bother me much. 6'2' is still taller than most other people. I'm also a twig at 150 lbs. Well remembered, I'm indeed 6'6. LOL I'm a skinny 5'7. I did however make My Player 6'4 and 210. Looks good, I'll be following. kevin02 wrote: Wow, nice shooting percentage, what player type (3pt, all around, scoring, etc) did you choose? I went with all-around. 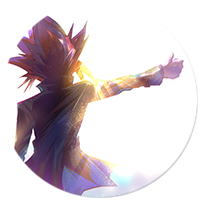 I was thinking of trying something different this year but at the end of the day, I kind of like sacrificing being really good in a few areas for the overall balance, having a decent head start in a lot of areas for developing my ratings. Just need to start stringing together some big games off the bench to earn more SP. Cavs4872 wrote: We've got some tall NLSCers here. I know Jao is tall, not exactly how tall though. I think Martti. said he's 6'4" or 6'6". Can someone confirm these heights? I think at my physical a few days ago I measured at 6'2", but my doctor said I'm probably not going to grow anymore. Doesn't bother me much. 6'2' is still taller than most other people. I'm also a twig at 150 lbs. Pretty sure Jon's around 6'7" or so. Same goes for Jae, if I recall correctly. So far so good. I've gotten off to bad starts like that shooting the ball in NBA 2K11 and NBA 2K12, so we'll see how things progress. I'm liking the controls this year more than any other 2K game, so that probably helps some. Nice start. I'll keep an eye on this one. You're selling yourself short by an inch. Shoes add at least an inch, sometimes up to an inch & a half. Unlike Euro sizes, NBA measurements tend to be based on height with shoes on. Therefore, you're about an inch taller, so you should round up a half inch to 6'5"
I always put my player at 6'3", my height with shoes. I absolutely hated playing the Heat. My defensive assignments always changed, since my guy was a swingman. I managed to get LeBron on a poster a few times, but he generally dominated the matchup. Thanks for checking in guys. I'll definitely keep that approach in mind in the future X, being 6'5" might make things a little easier...except when I get thrown in there at power forward against LeBron. Played another game this evening, a decisive victory and my first career start, setting a new career high of 16 points but struggling from the field (6/17); for my money, I was screwed on some layup attempts but a few of my shots were perhaps ill-advised. 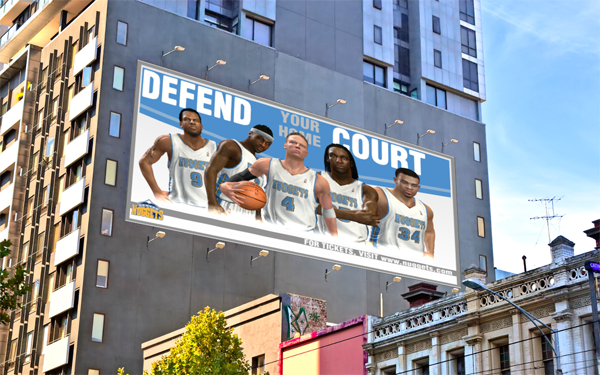 I'll put up another journal entry after a few more games but for now, here's a new billboard celebrating my entry into the starting five. 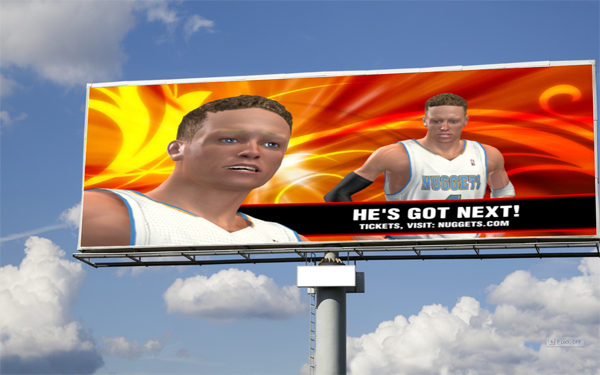 Wow, those billboards look great. Nice to see a 2k-Story from you, Andrew. Good job on cracking the starting five. It's probably warranted though. There was no way Iguodala was going to get demoted at this stage. Wouldn't be surprised if Gallo or Chandler call for a trade after this (if it's similar to previous 2k games). Martti. wrote: Well remembered, I'm indeed 6'6. All this talk about heights makes me want to restart my career as a 5'11", 160 lbs dude and see how I do. I am finally at an NBA eligible age IRL. Glad to see you've cracked the starting lineup. It's hard to resist shooting a lot in this mode. Out of curiosity, are you playing 12 minute quarters? Actually, I'm taking Andre Miller's spot. The game had him starting alongside Lawson in the backcourt, Iggy up front at small forward alongside Faried and McGee at centre. Gallo's been coming off the bench all season. Lamrock wrote: All this talk about heights makes me want to restart my career as a 5'11", 160 lbs dude and see how I do. I am finally at an NBA eligible age IRL. It definitely is hard to resist. I played five minute quarters for the first few games, which naturally resulted in very few minutes, then realised what setting I had it on and changed it to 12 minute quarters. Much better in terms of earning SP. 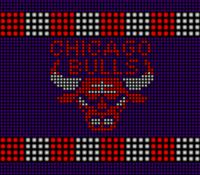 Bulls need Andrew...how about demand a trade? Not my style. I'm going to see how things work out in Denver but perhaps see if I can find my way to Chicago at some point. Andrew, solid start! Will try to check more often.